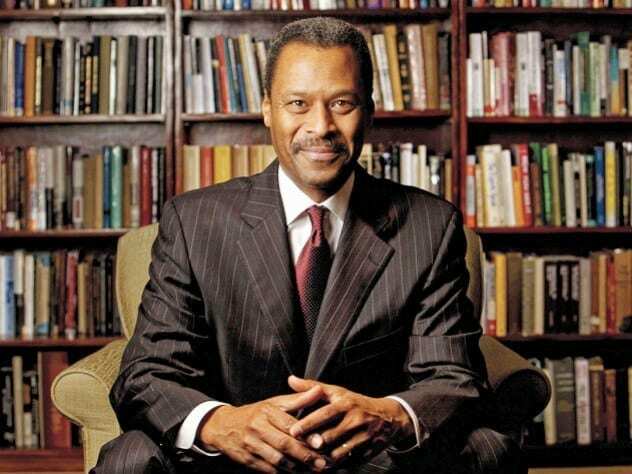 NASHVILLE, TN — Fisk University’s hunt for a permanent president and more philanthropic support got harder this month with the announcement by Atlanta’s Morehouse College, a Fisk peer, that it was not renewing the contract of Dr. John Wilson, its president for nearly four years, when his current contract expires June 30. The announcement by Wilson and the Morehouse Board of Trustees was made January 16, the day the nation’s celebrates the birth of the late civil right icon the Rev. Dr. Martin Luther King Jr., the most famous graduate of Morehouse. Aside from comments of praise about Dr. Wilson’s overall leadership, one that has been privately marked by rocky relations with some university trustees, the separation announcement made no reference to Dr. King and the birthday celebrations around the nation in his honor. The announcement did not elaborate on the reason or reasons why Dr. Wilson’s relation with would end at the prestigious private, liberal arts institution. “The turnover messages to the broader philanthropic community this entire sector (HBCU’s) is unstable,” says attorney Johnny Taylor, president and Chief executive officer of the Thurgood Marshall College Fund, the Washington based non-partisan, no profit organization that raises funds to help students pay to attend historically Black colleges. The stream of presidential departures make the philanthropic community “question the wisdom of investing” in this group of institutions, says Taylor, who focuses on courting philanthropists about supporting HBCU institution education costs. Dr. Leonard Haynes, recently retired official of the U.S. Department of Education and one who has worked with Morehouse and its peer institutions for years, expressed concerns similar to those of Taylor. “Something really bad took placed that had to be addressed as soon as possible,” speculated Dr. Haynes, the recently retired Department of Education veteran official who has worked with Morehouse and other HBCU’S over his two decades in the federal government and at time with Dr. Wilson during his brief stint as director of the White House Initiative on Historically Black Colleges. “They had to stop the bleeding,” said Dr. Haynes, hastening to add he was offering his views from a distance, not as someone with real time direct knowledge of what prompted this week’s announcement. Dr. Wilson, a rookie president who had never headed an institution of Morehouse’s size and standing nor had direct responsibility for as many diverse tasks, had repeatedly been at odds with some members of his board of trustees, said knowledgeable observers who would not speak for attribution. Some Morehouse backers, thinking of the fundraising success of former University of Miami President Donna Shalala when she came to the university from the Cabinet of then President Bill Clinton, had assumed Dr. Wilson’s ties to the White House would translate to better connections with potential funders. Shalala was credited with raising nearly $4 billion in gifts and grants for Miami before she left. Others, aware of doubts about Dr. Wilson’s frequently questionable demeanor, thought it would not be an issue when he was university president. Those questioned in recent days about the Morehouse announcement said, timing aside, Dr. Wilson’s departure did not come as a surprise. He had not become the rainmaker some backers had hope, they noted. He was at odds with key members of the university board almost since he started at Morehouse, they said. News of Dr. Wilson’s separation from Morehouse comes as some parts of the higher education community are sort through the departures within the past year of the new presidents of Florida A & M, Alabama State, Kentucky State ND Jackson State universities. Those came amid the implosion of the respective contracts between the boards of trustees and presidents of Chicago State, Fisk and South Carolina State universities. Several of those institutions are among half a dozen searching for new, permanent presidents. Several other HBCU’s have lost presidents in recent months of years due to deaths (North Carolina Central University) or implosions of presidential-trustee relations. All of the HBCU’s are what the federal government and higher education supporters characterize as “limited resources” institutions, meaning they had limited access to funds and support. At the same time, the institution’s leaders are being called upon by their trustees and, in the case of public institutions, state legislatures to make near magical overhauls with less and less funds and fewer students. Figuring out the challenges facing these institutions and the best way to wrestle with them “is not as simple as the data suggest,” said Dr. Haynes, a senior Fellow at the Consortium of Washington Metropolitan Universities, based in the nation’s capital. In its announcement about President Wilson’s departure, Morehouse did not offer any thoughts about its plan for finding a successor. Fisk, among half—a-dozen peer institutions on the hunt for permanent chiefs, has been on the hunt for more than a year.